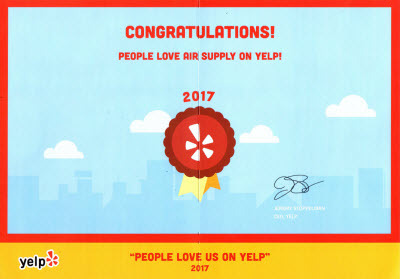 Throughout the Las Vegas, Nevada Valley Air Supply Heating and Air Conditioning has been earning a positive reputation among the commercial businesses and residential homes across the Las Vegas, Nevada Valley. 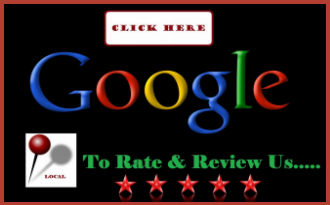 Being fully licensed, certified, and insured to deliver our professional expertise and services at affordable rates in the community; we have had the opportunity to prove ourselves by applying friendly customer service and traditional values to every service we execute with superior quality. Air Supply Heating and Air Conditioning technicians are more than qualified to perform the services we offer; training, experience, and skills along with the required credentials ensure optimal results. 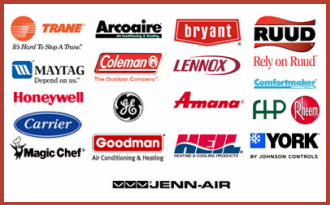 Additionally, Air Supply Heating and Air Conditioning only uses premium quality products and equipment that are only available to licensed professionals to ensure the best possible outcome. 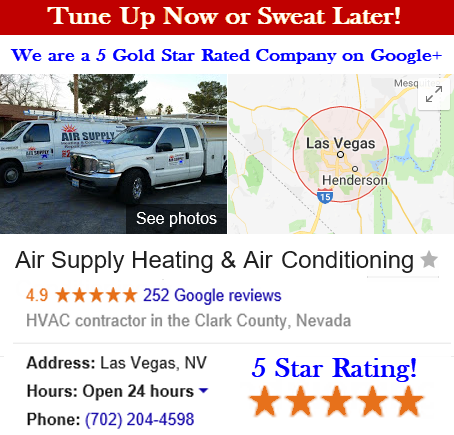 Air Supply Heating and Air Conditioning of Las Vegas, Nevada takes care of many of the services associated with thermostats for commercial and residential applications. From troubleshooting, inspections, repair, and so on, our specialists can help. There are many options when it comes to the thermostats from traditional to programmable, to Smart and everything in between. Below you will find information on the basic of the different types of thermostats for your consideration. One important criterion to look for when you purchase a thermostat is that is energy efficient. Thermostats are categorized into two basic types: Line-Voltage Thermostats and Low-Voltage Thermostats, both basic types offer a variety of thermostats. 1) Programmable Thermostats: To have the temperature in your house adjusted automatically according to preset times, the low voltage programmable thermostat helps. Conserving energy as the device minimizes the temperature when you are away from home and maximizes the temperature when you are home, programmable thermostats. Available in several models, the simpler ones enable you to program different daytime and nighttime temperature settings and the complicated ones can be programmed to adjust to different temperature settings on various days and times throughout the week. 2) Mechanical Thermostats: By being triggered with metal bars that heat up or cool down, these thermostats operate simply and are among the cheapest thermostats available. Equipped with either vapor-filled bellows or bi-metallic strips that respond to differences in temperature, the mechanical thermostats are not very reliable, particularly in the cheapest models that use bi-metallic strips. This type of line voltage thermostat is easily installed. 3) Non-Programmable Digital Thermostats: Another kind of thermostat that can be controlled with a digital display is the non-programmable digital thermostats. 4) Electronic Thermostats: Containing a sensor that can detect when the temperature moves above or below the desired room temperature, these thermostats are available as programmable models. To initiate control over your heating or cooling systems electronic thermostats use electronic gadgets to detect temperatures and exhibit much quicker response time to temperature variations. Offering you a lot of convenient features like automatic setback and programmability, these devices are more expensive than mechanical models. Low voltage electronic thermostats can keep a room at the particular temperature as desired. Most electronic thermostats fall under the low voltage category but you line-voltage models are available. With so many options, getting the right thermostat that is optimal for your needs and budget is a lot easier than you might suppose. No matter which option is to your liking, Air Supply Heating and Air Conditioning can offer installation and other such services to ensure its efficiency. Contact us for all your HVAC needs.